Roads are constantly being modernised and paved, so it is likely that we will find works that slow down speed and cause traffic jams. At the entrance to Montenegro we will be asked for our passport. If we are citizens of the European Union, we will not need a VISA, and if we are from other countries, it is a good idea to find out which countries require a VISA. While air connections have improved a lot in recent years, it is still not possible to reach Montenegro by direct flights from Spain, so we either choose to stop over or fly to nearby airports such as Dubrovnik. Ferries connect Montenegro with the other side of the Adriatic Sea via year-round connections between Bar – Bari and Bar – Ancona. In summer they also sail between Kotor – Ancona. The ferry companies connecting Italy and Montenegro are Montenegro Lines, Mercur Adriatica, Vektra (Hornbeam), Jadroagent, Montenegroexpress Bar, Inturs or Gorbis. 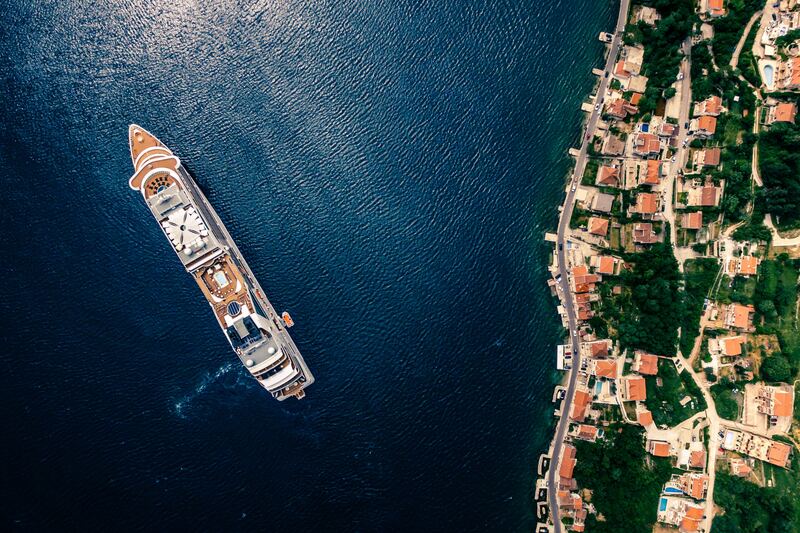 Many Mediterranean cruises stop in Montenegro. Kotor frequently and Budva on some cruises are regular stops. The railway network has not yet been modernized and if we choose the train as transport we must be clear that the journey can be pleasant in terms of scenery but slow and desperate if we have little time. In addition, there is only one section in use, that of the old line connecting the coast from Bar to Serbia. Whether by private car or rental car, you need to take into account that to drive in Montenegro you need a permit, which you get when you cross the border, and after paying for it you will be provided with a pass or sticker. You may be asked to provide your car rental reservation papers and other documents such as your national driver’s license. Private transfers are a good option to get to Montenegro as they are faster and not too expensive. From Dubrovnik and Mostar there are good quality services. The bus is the most recommended public transport to and from Montenegro. From Croatia (Dubrovnik) there are lines that operate and carry out the journey to Kotor, Budva or Podgorica. From the capital there are also buses to neighbouring countries such as Serbia, Albania or Bosnia. When entering and leaving the country, we will be asked for our passport by the border police who take the bus. We simply deliver it to you for sealing and you will return it to us without further ado. In summer, queues at the border mean that it takes longer than usual to get there. The nautical harbours of Budva and Porto Montenegro in Tivat have a modern space to dock our boat if we arrive sailing to Montenegro. Want to know more about trips in Europe? Read our section here.